Held at our facility Peak Performance Golf and partnering courses, our programs and camps are designed to bring the game of golf to the hearts of youth in our local community in a fun, engaging and challenging environment. 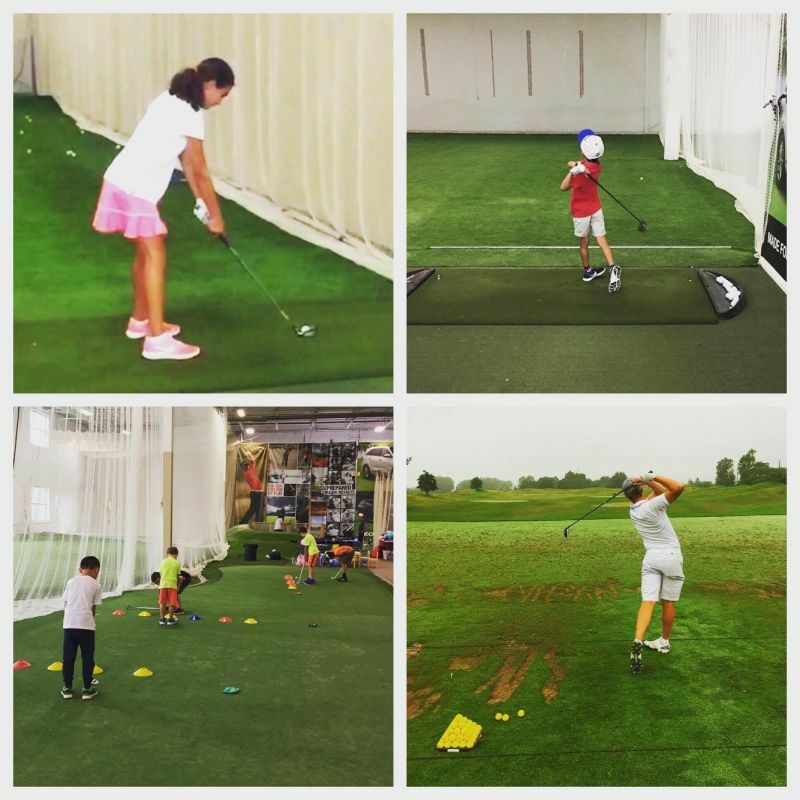 Our one of a kind 26,000 sq ft indoor training space and top notch coaching staff offers a unique opportunity for each child to learn and hone their game. Year round programs and holiday camps are offered for children ages 4-18 years old from picking up a club for the first time to picking the schools they are aiming to receive a golf scholarship from. We take pride in our golfers and we want to give them the best opportunity to grow better and stronger within this sport. May 15, 2019: Facility is Open to Public all the Time! Welcome to Peak Performance!! This is not a single event, moreso an open invitation to come visit us at any time! We are a public facility, that certainly encourages drop in visits during any hour of operation. We are also more than happy to arrange trial classes for kids within our year round junior program which currently runs a few weeknights and weekends. This was a great experience for my child, they enjoyed the excitement and involvement of the staff and the lessons! Stacey Smith is a Brock University Graduate with a Bachelor’s Degree in Recreation and Leisure, as well as a Humber College Graduate with an Event Management certificate. Through her years at Brock, she was the defensive coach for a Niagara’s Women’s hockey team, and participated in helping train/coach Paralympic athletes in boccia ball and wheelchair basketball. She has been involved with youth camps and programs for her lifetime, from being a camper through growing up, to volunteering, to helping create programming. Her engagement within recreation and sports is extensive and well-informed with a breadth of personal experience. Stacey has been a tournament assistant and helped run large golf tournaments for companies throughout the summer. She has a strong golf background, knowledge of the sports world and is dedicated in helping the participation in sport grow. Stacey is Peak’s Junior Program Coordinator and helps with planning and implementing in programming of golf lessons, summer, and winter camps as well as helping execute events within the facilities. She is passionate about working with kids and ensuring great experience for participants in any event. It has been an amazing journey in the development of the Peak Junior Programs and Camps here at our facility. It all began with a sheer joy of sharing the love of the game with the future generations and has become a place where kids and adults of all ages can experience this sport in every capacity. From raw beginners to PGA touring pros, our space is unique in what and how we can offer programs, training, challenges and fun to the game. Our staff and membership have become a family in and of itself. Who not only enjoy experiencing the sport of golf together, but also just enjoy spending time. From the age of 4 up, we embody a holistic approach to the game, where understanding that it takes not just technical skill, but also physical capability, mental proficiency and fun to truly bring out the best! Our path has lead us to develop relationships with many other community partners and programs, camp directors and fellow golf courses, all in the hopes and goals of together being able to offer innovative and exceptional programs and experiences for our families and kids. We love meeting new faces and becoming a part of new families lives. Hope to meet you soon and become a part of your family as well. Interested in Peak Performance Golf?